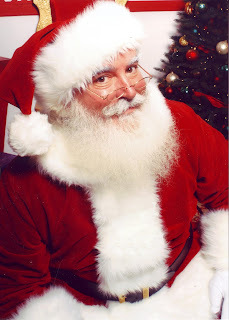 I ask Santa to stop closing schools for Christmas. It's among the worst policies ever. Sure I have selfish reasons. I don't want any of my colleagues to become ATRs, and I don't want to be one myself. Despite all the noise and nonsense that swirls around this job, I still love it. While politicians talk smack about what needs to be done, I know what I do is very important. I know a smile from a kid is a more hopeful sign than a good grade on a standardized test, or rigor and grit, or whatever it is the reformies are selling. A kid's smile shows an openness, a willingness to be there, and a willingness to learn. It's something you treasure, something you can't force, and something you don't tamper with. A kid will follow a teacher who elicits a smile. Wouldn't you? And for all I know, that teacher who makes the kid smile could be in a so-called failing school. What if we have a whole community with low test scores? Does that mean we take the public school, the heart of the community, and replace it with a Moskowitz test-prep factory where kids pee their pants rather than stop filling in bubbles? Should we trust a politician who says with one breath she wants to help struggling schools, and with the next that she will close them? That's a hard sell, for me at least, because I cannot determine which side of her mouth is credible. Is it a slip when she says she will close all schools that aren't above average? Probably yes. If average is a midpoint, that would mean closing half of all schools, and as Mercedes Schneider pointed out, it would necessitate perpetually recalculating to close even more. So here's the thing--I'm finished voting for Democrats just because they make me puke a little less than their GOP opponents. Would Hillary make better Supreme Court appointments than Donald Trump? Probably. Would she be a better President than him? Certainly. But that's a low bar. If Hillary wants me to consider voting for her, she will walk back that comment. She will not simply say that she didn't mean to say she'd close schools that weren't "above average." She will not simply says she meant she'd close schools that weren't "good." What does "good" even mean? In reformy, it means high standardized test scores. Anyone taking a good look at the situation knows that test scores are precisely aligned with income. If we were to cure poverty, something politicians assiduously avoid, this would not be an issue. I ask Santa to support schools rather than close them. I ask Hillary to support Santa. Because honestly, who can vote for a politician who opposes Santa? Not me.